Business Cards are not included with product. Landscape orientation. 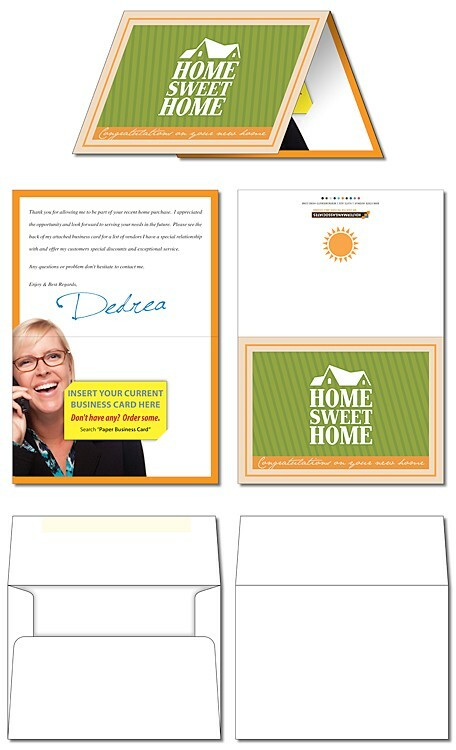 Plain white envelopes are included. UV-Coated on outside only. Business Card Slits are die cut into the card. Cards are shipped flat with a score to make it easy to fold. Price includes printing in full-color (four color process) on both sides, UV-coating on outside of card only, and plain white envelopes. Exact color matches, metallic or fluorescent colors cannot be printed in full-color.